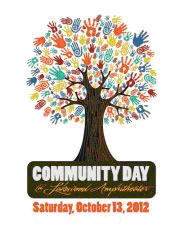 ATLANTA: The Lakewood Oversight Committee & Lakewood Finance Committee have joined together to host a Community Event Day on Saturday, October 13 at Aaron's Amphitheatre. The not-for-profit event is a fun way to bring the community together for a family-friendly day filled with kid’s activities, live entertainment, refreshments, a flea market and community information. The Lakewood Oversight Committee was developed in the late 80’s when the amphitheatre construction began and they were instrumental in helping to get the amphitheatre in their neighborhood. The committee is made up of representatives from NPU-X, Y & Z and remains extremely supportive of the amphitheatre. Aaron’s Amphitheatre at Lakewood makes an annual donation to the Lakewood Oversight Committee which has greatly benefited the immediate communities. The committee has been able to award scholarship funds and numerous community issued grants strengthening the partnership. The City of Atlanta has also benefited from the popularity of the Amphitheater's exciting headliner acts.